Because great screenplays make great literature! The Underground Film Journal is thrilled to announce the launch of its new e-publishing imprint, Underground Film Press, which is publishing the full screenplays of underground films. For our inaugural publication, of course we had to go to one of our favorite films of the past three years. That’s right, it’s the rock-docu-exploitation comedy hit of 2008, Altamont Now! As of today, you can download and read the original full-length screenplay by co-writers Joshua Brown and David Bucci for the Kindle for the dirt cheap price of $1.99! And you don’t even need an actual Kindle device to read it! Download the Kindle app for your computer, iPod, iPad or smart phone, then purchase a copy of the screenplay and you can start re-staging your favorite scenes anywhere you go. In your bedroom, on the bus, in your work cubicle. Anywhere! The Underground Film Journal has been championing Altamont Now since it screened at the Boston Underground Film Festival, then took the entire underground film festival circuit by storm before being released on DVD by Factory 25. But the main reason we wanted to publish Altamont Now as our first Underground Film Press book is, yes we love the film and all, but we knew that it would make a terrific read as much as it was a fantastic movie. It started life as a stage play written by David Bucci, who was kept as an integral part all through the movie-production process. Yes, we’re biased, but the script is hilarious, insightful and a ton of fun to read. To be clear, this is not a transcript of the film. This is the final version of the screenplay that was used before going into production, so, among other things, it includes a completely different ending than seen in the finished movie. We truly think you’ll love reading this script as much as we did, so go download it now! Also, thank you for asking, Underground Film Press is planning into expanding into other e-publishing formats, such as rival Kindle device, the Nook. But, we were so excited to get the ball rolling, we couldn’t hold back from announcing this first launch. Future releases of Altamont Now: The Screenplay will be, of course, announced on the site in similarly dramatic fashion. Plus, yes we do have our second release all planned. Underground Film Press’ second e-publication will be the screenplay for Chris Hansen‘s hilarious 2006 comedy The Proper Care & Feeding of an American Messiah, which we are currently already prepping for release. We’re excited, you’re excited. So, keep checking back for updates! 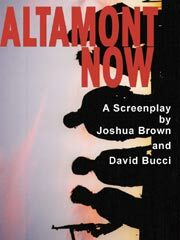 And go read Altamont Now: The Screenplay!